Our sponsors lead the charge in Digital Transformation. Oro, Inc. was founded in 2012 by industry leaders in open-source business applications and is the software company behind OroCommerce and OroCRM. OroCommerce, a pioneering eCommerce platform made for B2B businesses, redefines the benchmarks for best-in-class customer experience. OroCommerce is the only true B2B eCommerce platform made for manufacturers, distributors, wholesalers, retailers, and brands. OroCRM has rapidly established itself as a disruptive force in the CRM market. The platform’s open-source nature gives multi-channel businesses a true 360-degree view of the customer. Dn’D has assisted companies for 13 years in the creation and development of customized digital solutions for web and E-commerce. Founded by lovers of innovation and design, Dn’D Agency has a team of experts covering all areas of the web such as consulting, web design and development of interactive personalized solutions. Dn’D acts in all key steps of your web projects to ensure their success. Our competence proficiency and synergy allow us to develop your competitiveness through quality and innovation, while ensuring respect for deadlines and a true customer service. Kiboko is a consulting and development agency for e-commerce and business solutions, created by the reunion of 3 e-commerce seasoned developers, working on a various scale of e-commerce websites. Depending on your business needs, Kiboko develops and maintains e-commerce web stores using OroCommerce. Kiboko also integrates Akeneo (PIM), OroCRM (CRM) and Marello (ERP) into the pre-existing environment or into a new one to build as your business needs. Kiboko has been one of the first companies to trust OroCommerce as a true B2B e-commerce solution and one of the first to release a live web store using it. Synolia is a global consulting and technology services company, specializing in the implementation of CRM, Business Intelligence and E-commerce platforms. Established in 2004, Synolia is the French leader of global E-commerce and CRM Open Source platforms with more than 550 customers. With its E-commerce services, Synolia is able to meet all types of business needs from the simplest to the most challenging ones. Synolia is also the first historical OroCRM partner since 2013. Thanks to a close partnership, Synolia takes part in the core group of OroCommerce partners. The company naturally adopts the OroCommerce platform in order to enlarge the scope of its services and the upcoming customers’ ambitions. With offices in 7 countries, Smile is the European leader in Open Source digital services, digital and open source expert, from consulting to design and execution. Nearly 1700 enthusiasts contribute to hundreds of strategic digital projects for French and European key accounts with the most innovative solutions and softwares. Smile masters the best open source products, components and frameworks as well as business challenges. Smile supports its customers through every step of their digital transformation thanks to four vertical offerings (Digital/Ebusiness, Business Apps, Infrastructure, Embedded/IoT) and a complete line of integrated services (consulting, digital agency, training, development and integration, maintenance and outsourcing). In 2017, Smile made over 84 million euros revenue. What is Smile’s mission? To make the open source the first driver of the European digitalization. Code Rhapsodie is a company of expertise, advice and development in the field of web. Convinced for years by the benefits of Open Source solutions, Code Rhapsodie has been integrating eZ Publish / eZ Platform solutions, Akeneo PIM and Symfony applications for several years. 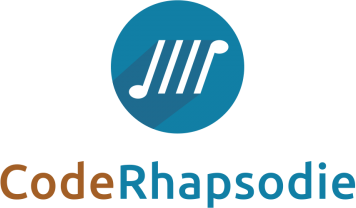 Based in Paris, Lyon, Bordeaux and Toulouse, Code Rhapsodie works on web, ecommerce, intranet, extranet and CRM projects. Limonetik, who was awarded the prestigious title “Cool Vendor in Digital Commerce” by Gartner, is an international Fintech business. The company, whose head office is located in Paris – France, offers a B2B comprehensive payment solution on platform as a service (PaaS) basis which addresses all needs of multichannel retailers, marketplaces, payment issuers, acquirers and payment services providers. Marello is the new Open Source ERP for Commerce. It is designed for webshops, as well as omni-channel retailers looking for a better grip on their business processes. Marello wil meet your retail needs and boost your business. Keyrus is a creator of value in the era of Data and Digital. As an international player in consulting and technologies and a specialist in data and digital, Keyrus is dedicated to helping enterprises take advantage of data and digitalization resulting in enhanced business performance, accelerated transformation, and new growth and opportunities. Present in fifteen countries on four continents, the Keyrus Group has more than 3,000 employees. TBD main mission: Thanks to the strength of expertise, we meet the most demanding and personalized expectations of customers who want a website, without sacrificing time on the technical aspect. TBD vision: To be the technical leader of the e-commerce ecosystem. We focus on the customer experience. We are facilitators. The personality of TBD brand in a few words are "relevant, upscale, expert, honest, technical, and high touch."